Staying abreast of the ever-changing trends in home improvement and real estate can help consumers make the best choices with regards to buying and decorating their homes. A recent survey released by home and lifestyle channel HGTV on the growing trends of home investments in the GCC, reveals that nearly 48 per cent of residents are looking to improve their homes next year. The survey also highlighted another interesting trend: it found more women in the UAE picking up the tool box and carrying out do-it-yourself home improvements themselves and women actually found such activities relaxing. Good design can have a positive influence on how we live. Modern accessories and the range of decorating freedom available in the markets can put homeowners in a tough spot deciding the right theme for their homes with 66 per cent of homeowners looking for inspirations and tips to redecorate. Here are a few ideas to keep in mind while styling homes. Stay in trend: Take cue from your personal choice and combine it with the latest trends. Although trends tend to change, at some point it repeats itself in a different form, such as the Victorian style-chair made of acryl material that made a comeback recently. Most inspiration ideas come from primitive elements, such as pets, fashion brands or origins. From themes ranging from Scandinavian, Bohemian to contemporary and much more, a room should be a multifunctional space reflecting the homeowner’s style. Colour combination: Keep a neutral base in living rooms. Neutral accents offer the greatest decorating flexibility, allowing homeowners to easily switch accessories to adopt seasonal trends. Introduce trending colours to neutral rooms with accessories. Add cushions and rugs with colourful pattern or detail to add some interest. Peach, blush, mint and pale yellow will add a different perspective to your space without seeming too extravagant. Incorporating faded textured throws, textiles and accessories is a good place to start. Bring the outdoors in: A colourful floral arrangement or indoor plants will not only add an organic element to the space, but a vibrant hue as well. Create an arrangement of fresh flowers as a table-top décor. Fill empty corners with large plants in colourful pots to add a touch of elegance and a little bit of whimsy. In most cases, building a bespoke kitchen happens only once or twice in a lifetime. However, as per the survey, about 45 per cent of residents are willing to redecorate their kitchens. For avid cooks, hosts and busy families, a kitchen is the centre of daily lives — a common place where aesthetics and function play an important role. Take your kitchen to a different level with these ideas for boosting style and functionality. Cabinets: Consider revamping kitchen cabinets or investing in some new kitchen worktops to refresh the style. With a variety of colour and material options you can find the look you are dreaming of, while ensuring that your new kitchen will stand the test of time. Understandably, this is the most common question cabinet buyers have when working on a full kitchen renovation with the goal of staying on budget. Choose high-quality material cabinets that can have an impact on the kitchen’s longevity and performance. Solid painted cabinets continue to be a winner. For a more relaxed approach, opt for “floating shelves” as a storage space. Lighting: Create a well-planned kitchen lighting scheme that sets the mood for cooking, entertaining and eating. 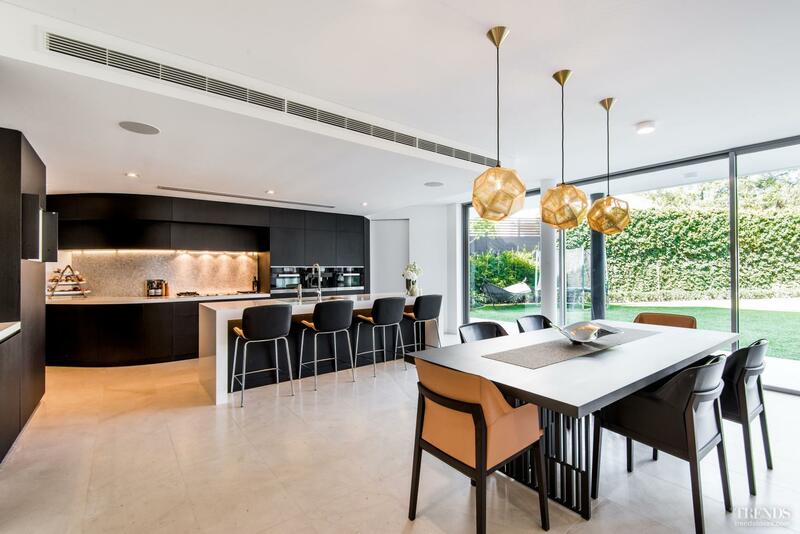 Cleverly positioned lighting in the kitchen can enhance the desired space, while concealing other areas. 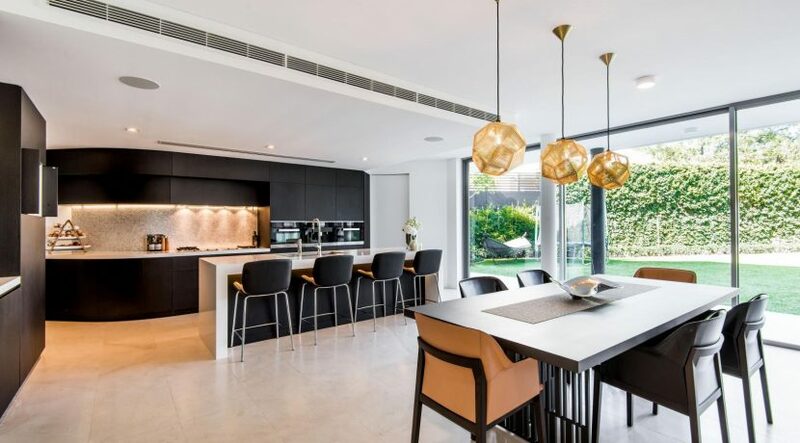 Choose a “task lighting” for a brighter, well-lit worktop space and opt for dim-lit mood lighting, such as hanging lamps, for dining areas in the kitchen. Layout and material: Rethink your floor plan before settling for a theme. Dismiss swinging door cabinets and drawers or large kitchen appliances to make more space. A sophisticated colour scheme of creamy white and pastels along with natural materials is ideal. Replace tired worktop surfaces with durable materials, such as granite; natural materials guarantee quality, durability and value.